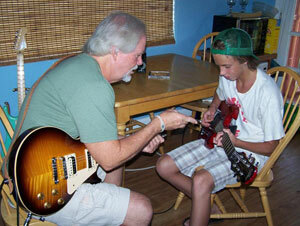 Billy has taught students to play guitar for over 25 years, with the emphasis on play guitar. No tedious, time-consuming learn-to-read-charts or practice-your-scales first. 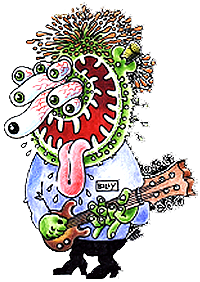 Rather, Billy makes learning fun by starting you on the songs you like playing lead guitar, rhythm guitar, slide guitar, bass guitar—you choose your direction. It’s the quickest and most enjoyable way to begin to express yourself musically. Billy teaches from his home or yours, as you prefer.